AMD’s Athlon processors are definitely making a comeback to fend off Intel’s Pentium processor range. New listings on board manufacturers’ websites, and various benchmarking databases, indicate that the AMD Athlon 200GE, and near-identical Pro version, is nearly ready to launch. This isn’t the first time we’ve heard rumours of AMD’s Athlon nomenclature joining the Ryzen lineup as a budget offering. The Athlon 200GE was previously spotted on the SiSoft Sandra database back in February, and latest leaks confirm the specs given at that time. This means the Athlon 200GE will come with a dual-core processor, with simultaneous multithreading enabled for a total of four threads, running with a base clock of 3.2GHz. Scouring the web for the best value processors around? Here are our picks for the best CPUs for gaming. So far no turbo clocks have been stated, but it’s possible the Athlon 200GE won’t boost frequencies whatsoever. The Pro version will likely be identical apart from management enhancements and commercial warranties – as is the case with Ryzen Pro. This chip, reported by ComputerBase, also features integrated graphics in the form of AMD’s VegaGPU architecture. This is currently suspected to be a Vega 3 with 192 Stream Processors, which also means these are chips are built upon the AMD Raven Ridge APU architecture but have been cut-down to size. Previous generation models of Athlon processors, such as the Athlon X4 880K, also were built-upon APU tech but had the GPU functionality removed – which likely saves AMD a lot of wastage with APU silicon. 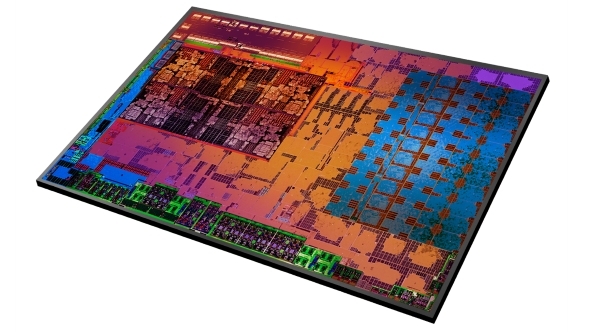 AMD recently announced the Ryzen 3 2200GE and Ryzen 3 2400GE, lower 35W TDP APUs where the ‘E’ stands for efficiency. The Athlon 200GE similarly features a 35W TDP. AMD has not yet announced exact pricing for these processors, but seeing as the Ryzen 3 2200G is somewhere in the realm of $100 / £85, and Intel’s popular 7th Gen Pentium G4560 costs around $60 / £40, you can expect AMD to price its processor somewhere inbetween – likely closer towards the former’s price tag. It may be a bit of a stretch for AMD to drop prices down to compete with Intel’s choicest last gen Pentium. As for performance, that integrated Vega GPU isn’t going to be all that able when it comes to gaming. We’re big fans of the AMD Ryzen 3 2200G, and those two extra cores are certainly worth the price bump even without the integrated GPU in the mix. This desktop part, or its Ryzen Mobile counterparts, will likely still be best for budget gaming PCs if your budget can stretch just a little further. The AMD Athlon 200GE will likely be reserved for budget OEM builds and to give these big companies a little extra fodder for their marketing materials.